Organic microelement chelated as manganese-amino acid complex and protected with glycine for production animals. Manganese (as glycine manganese chelate): not less than 22% by weight. 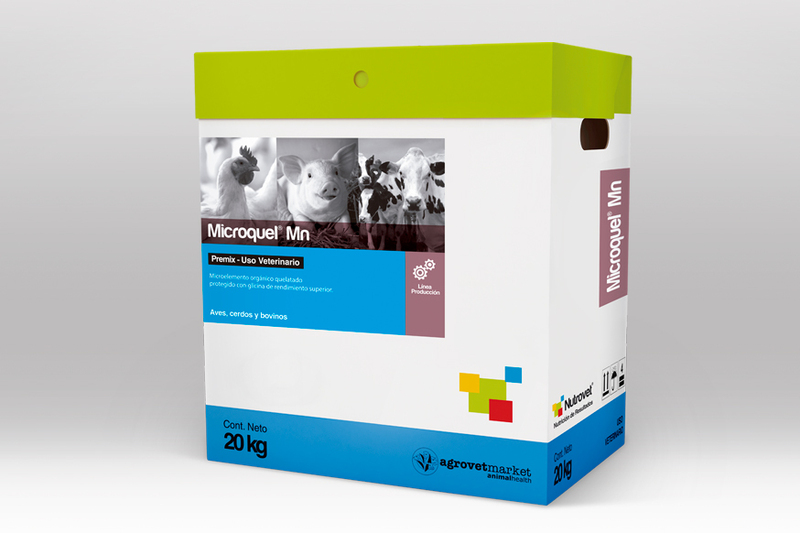 Microquel® Mn also contains 29% of the amino acid glycine of high nutritional value. 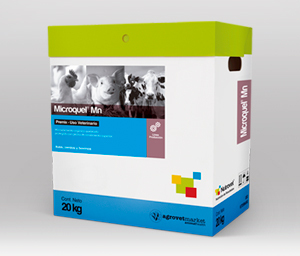 Prevention and treatment of manganese deficiencies in production animals. Specific indications include: delay in sexual maturity, increased embryonic death (and / or malformation), reduced fertility in males and females. Abnormal skin, hair and hooves. Abnormal development of bones and joints, bone weakness, perosis and chondrodystrophy, deterioration in the ability to regenerate articular cartilage, lameness. Deficiency in the quality of the eggshell; Weights decreased at weaning. Increase in the susceptibility to diseases, in periods of higher incidence of pneumonia and diarrhea and in stages of greater stress. In addition, it improves the immune response, the quality and the production of meat and eggs. Poultry: 100 - 280 g / MT of feed (20 - 60 ppm Mn). Swine: Piglets and fattening pigs 50 - 100 g / MT of feed (10 - 20 ppm Mn); Spreads 100 - 120 g / MT of food (20 - 25 ppm Mn).